An increasing number of native American tribes are supporting the introduction of sports betting in different states, demanding a monopoly on this new type of gambling. Other tribes, however, oppose legalization fearing that the new sportsbooks would pose a threat on their casinos. Since May last year, when the Supreme Court struck down the federal ban on sports betting, a total of six states have allowed bets on sports. Instead of legalizing this form of gambling across the country, however, the ruling simply allowed states to decide whether they wanted sports betting or not. Now, Indian tribes seem to be playing a much more important role in decision making. In many states across the US, they have received the economic benefits of their exclusive rights to gambling for decades and are now actively objecting to the idea of legalizing sports wagering. In other states, however, Indian nations are recognizing the potential of sports betting and how it could boost their existing casino operations. Sports betting proponents in Connecticut are now hoping that by the end of 2019, wagering on sports would be legal in the state. A bill was introduced back in 2017 and received a green light in 2018 with the SCOTUS decision but is still in the books. Despite the difficulties around signing a new deal between the state and the tribes, there is a huge appetite for legalization from both parties. 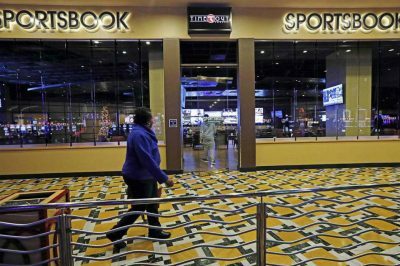 Back in 2018, Foxwoods Resort Casino, which is owned and operated by the Mashantucket Pequot Tribe, said it would support sports betting legislation. The other large casino in the state, Mohegan Sun, operated by the Mohegan Tribe, has also joined the efforts for legalizing sports betting. In March 2019, it announced its partnership with sportsbook provider Kambi for a future retail operation. Both tribes are seeing betting as a way to maintain their regional dominance at a time when neighboring states are also introducing new forms of gambling – New York approved commercial casinos in 2013, the MGM Springfield Casino opened in Massachusetts just a few miles away from the Connecticut state border, while Rhode Island has already introduced land-based and mobile sports betting. Tribes in many other states are now looking at sports betting as a way to improve their revenues. North Carolina’s Eastern Band of Cherokee Indians, for instance, are now supporting a new bill, which would enable the nation to offer sports betting and horse race wagering in its casino. Texas betting fans should not expect legalization any time soon mainly due to the tribes actively lobbying against it. There is little hope for the current sports betting bill, which was introduced by the minority Democrats, and is highly unlikely to gain support from the Republicans. Furthermore, the Chickasaw and Choctaw nations of Oklahoma have made contributions of around $5 million to different Texas candidates in order to protect their casinos from any potential competition. Tribes from neighboring Louisiana are also lobbying against sports wagers in Texas. Sports betting legislation is also meeting strong resistance in Minnesota where there are 11 federally-recognized tribes that own 21 casinos. 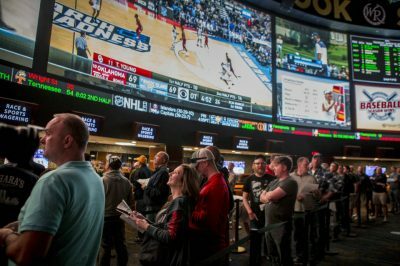 Lawmakers are now considering the Safe and Regulated Sports Gambling Act of 2019, which if passed into law, would introduce a unique tax structure and allow mobile betting. In a letter to state Governor Tim Walz, however, the Minnesota Indian Gaming Association said it is against the bill as it paves the way to off-reservation gambling in the state due to the introduction of mobile betting. In states such as Washington and Arizona, lawmakers have proposed legislation but at this point, no bills are expected to be passed in the near future. There are also states where tribes have even more political power through huge donations to campaigns and candidates. The Indian nations in Florida, Oklahoma, and California, which operate some of the largest casinos in the country, are likely to block any sports betting measure that may be proposed in the coming months or even years.